The stars of the Freeform series Siren step out together for a panel during day one of 2018 Comic-Con on Thursday (July 19) in San Diego, Calif.
Alex Roe, Eline Powell, Fola Evans-Akingbola, Ian Verdun, and Rena Owen were on hand to tease the second season of their breakout series. During the panel, moderated by TLC‘s Chilli, the show’s EP Eric Wald teased more mermaids coming to Bristol Cove for season two. Also pictured inside: The cast checking out the Nintendo Switch at the Variety Studio that same day. FYI: Eline is wearing an Antonio Marras dress. Fola is wearing an AllSaints ​jacket and skirt. Maika Monroe & Maia Mitchell Reunite for 'Hot Summer Nights' L.A. Screening! Maika Monroe and Maia Mitchell strike a pose together on the red carpet of the screening of their film Hot Summer Nights held at the Pacific Theatres at The Grove on Wednesday (July 11) in Los Angeles. The 25-year-old actress and Maia, 24, were joined at the event by their co-star Alex Roe, as well as the film’s writer-director Elijah Bynum. Hot Summer Nights follows the story of a boy (Timothée Chalamet) who comes of age during a summer he spends in Cape Cod. The film is set to hit select theaters on Friday (July 27) and is currently available exclusively on DIRECTV – Watch the trailer below! FYI: Maika is wearing a Stella McCartney dress, Jimmy Choo shoes and a Beladora necklace. Maia is wearing a Miu Miu collection purple velevet dress. Alex is wearing an Asos shirt. 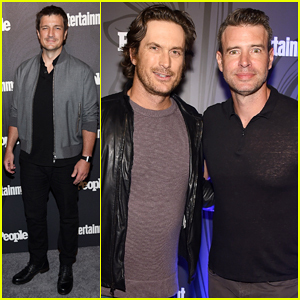 Nathan Fillion, Scott Foley & Oliver Hudson Step Out for EW & People's Upfronts Bash 2018! Nathan Fillion keeps it cool and casual while attending Entertainment Weekly & People’s New York 2018 Upfronts Celebration held at The Bowery Hotel on Monday (May 14) in New York City. The 47-year-old The Rookie star was joined at the event by Whiskey Cavalier‘s Scott Foley and Splitting Up Together‘s Oliver Hudson. Also in attendance in support of their shows were The Good Doctor‘s Nicholas Gonzalez, The Goldberg‘s AJ Michalka, Black-ish‘s Anthony Anderson, Grey’s Anatomy‘s Jason George, Siren‘s Alex Roe, Grown-ish‘s Francia Raisa, Halle Bailey, Trevor Jackson, Chloe Bailey and Jordan Buhat, Shadowhunters‘ Harry Shum Jr. and Afton Williamson of Shades of Blue. Gregg Sulkin is dapper while posing alongside his pal Ashley Greene while attending the POPSUGAR x Freeform Mermaid Museum VIP Night held at the Goya Studios on Wednesday (March 21) in Los Angeles. 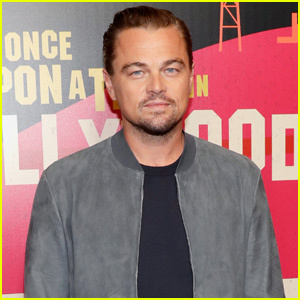 The 25-year-old actor and the 31-year-old actress were joined at the event by Freeform’s Siren star Alex Roe as well as The Bachelor‘s Lauren Bushnell. The pop-up event – which featured a digital mermaid theme including a 360° animated underwater projection room that submerges attendees into the depths of underwater life – was held as part of Freeform’s Campaign for the network’s upcoming drama series Siren. FYI: Ashley is wearing an open-shoulder Self-Portrait dress. 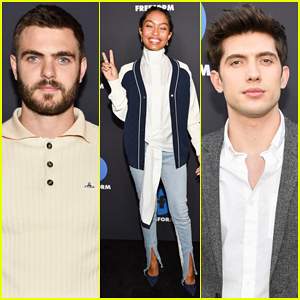 Alex Roe, Yara Shahidi & Carter Jenkins Promote Their Shows at Freeform Summit 2018! Alex Roe poses for photographs while hitting the carpet at the 2018 Freeform Summit held on Thursday (January 18) in Hollywood, Calif. The 27-year-old Siren star was joined at the event by Grown-ish star Yara Shahidi and her co-stars Emily Arlook, Trevor Jackson, Francia Raisa and Chris Parnell, as well as Famous in Love‘s Carter Jenkins, Pepi Sonuga, Keith Powers, Charlie DePew, Georgie Flores, Niki Koss and Claudia Lee. Also in attendance to promote their shoes were Marvel’s Cloak & Dagger stars Olivia Holt and Aubrey Joseph, The Bold Type‘s Katie Stevens, Meghann Fahy, Aisha Dee, Melora Hardin, Sam Page, Matt Ward, Nikohl Boosheri and Stephen Conrad Moore, The Fosters‘ Maia Mitchell, Cierra Ramirez, Hayden Byerly and Elliot Fletcher, and Beyond‘s Jeff Pierre, Eden Brolin and Oscar Camacho, Ally Maki and Allison Holker. It was recently announced that Grown-ish is returning for a second season! FYI: Yara is wearing a Chanel jacket, Arias blouse, Off-White jeans, René Caovilla shoes, Kavant & Shahart earrings and Swati Dhanak rings. Olivia is wearing a SEMSEM jumpsuit with Giuseppe Zanotti shoes. Niki is wearing a Vince Camuto dress. Jessica Rothe & Alex Roe Celebrate 'Forever My Girl' at WeHo Premiere! Jessica Rothe is picture perfect while hitting the red carpet at the premiere of her latest film Forever My Girl held at The London West Hollywood on Tuesday (January 16) in West Hollywood, Calif. The 30-year-old actress was joined at the event by her co-stars Alex Roe, Abby Ryder Fortson, Judith Hoag, Tyler Riggs, Peter Cambor, Morgan Alexandria and writer-director Bethany Ashton Wolf, as well as comedian Fortune Feimster and her fiance Jacquelyn Smith. “Forever My Girl tells the story of country music super-star Liam Page (Alex) who left his bride, Josie (Jessica), at the altar choosing fame and fortune instead. However, Liam never got over Josie, his one true love, nor did he ever forget his Southern roots in the small community where he was born and raised. When he unexpectedly returns to his hometown for the funeral of his high school best friend, Liam is suddenly faced with the consequences of all that he left behind,” according to Roadside. Forever My Girl is set to hit theaters on January 19 – Watch the trailer here! FYI: Jessica is wearing an Armani top and skirt, Casadei shoes and Kavant & Sharart earrings.